Thank you for this welcomed change. Since writers have little control over the traffic we receive on the site, other than through our quality of writing, this is a good move. Does this mean the hub score will be more stable and stop jumping up and down like a yo-yo? My concern with the changes is the actual effect that reader interaction will have on the hub. Most organic readers don’t vote or leave comments, so I don;t think it’s fair to use those parameters. I don’t think the overall Hubber score should be used when evaluating individual hubs. It may lock a writer inside certain parameters with difficulty to advance. @cardisa those are just a couple of the factors we use to compute reader satisfaction. We use the data available, and if we don’t have it for a particular Hub, then that Hub’s HubScore is mostly a reflection of the QAP component of quality. 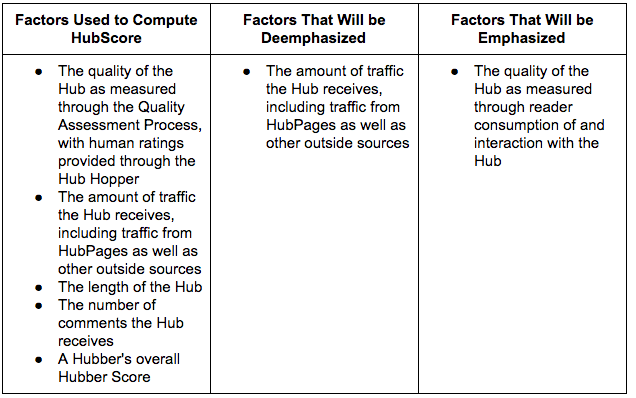 In other words, if a Hub does not have meaningful data on reader interaction, we will not try to penalize its HubScore. @Sue Adams it should be a little more stable for some Hubs, I hope. 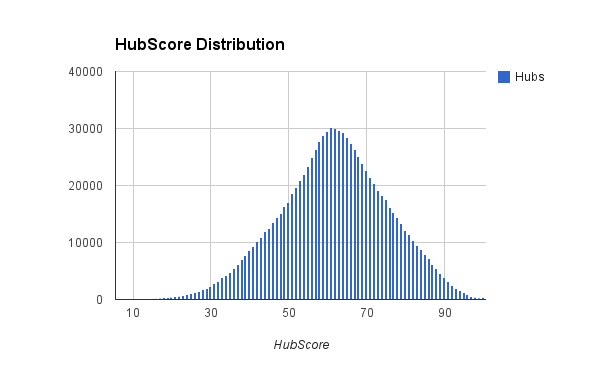 HubScores have always been (and will continue to be) less stable than Hubber Scores because we have less data at the Hub level than we do at the account level. Is quality of writing–spelling, punctuation, syntax, etc. ever taken into consideration? I see many hubs that could greatly benefit from a 5-minute editorial review, yet the author’s Hub score is greater than or equal to mine. I provide excellent content, but my topics are not the type that will generate a great deal of interest to the masses (I write about food–history, culture, recipes, etc.). Yes, writing is indeed taken into account, though one or two typos will not make or break your HubScore. But in general, yes, spelling and grammar usage are both important contributors to HubScore.